Maria Baro wasn’t wearing make-up. And it was Ponytail Thursday. From left, teacher Christieann Rohal (left) and Principal Nora Kuntz (right) enjoy the moment when teacher Maria Baro realizes she was named Teacher of the Month on Sept. 4. But that didn’t stop a small horde of people from invading this third-grade teacher’s staff meeting with cameras and gifts in order to honor her as Teacher of the Month earlier this month. Maria, humbled and embarrassed, insisted that any good coming from her efforts was a reflection of the talent and dedication shown by ALL of her co-workers at Crestview Elementary School. The award is the most recent program implemented by the Simi Valley Education Foundation to help public schools throughout the Simi Valley Unified School District and to honor staff and teachers who do great work. Maria is the first recipient of the award; it will be handed out monthly through the end of the school year. Founded in 1989 by Lew Roth, a Simi Valley school board trustee for 23 years, the foundation raises money through private donations, corporate gifts and community/special events. The money raised is then returned directly to the schools in the district through grants, scholarships and special programs. Not affiliated directly with the district or any one school, the district does support the foundation, which had donated more than $600,000 through its efforts. 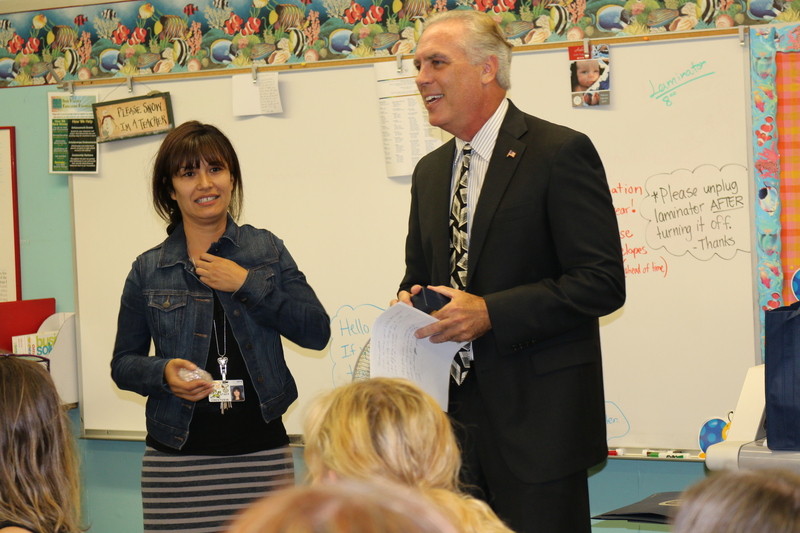 Brian Miller, president-elect of the Simi Valley Education Foundation honors Maria Baro for her work. In January, the annual Lew Roth Awards Dinner will honor teachers and staff from Simi Valley schools for their contributions. The foundation gathers and evaluates the nominations and the awardees are announced at the dinner. Another major fundraiser for the foundation is the Celebration of Education Gala, held usually in March, but not yet scheduled for 2015. This is the primary community fundraiser and features a big theme party, complete with auctions and special events. The foundation also works with many area business to secure grants and donations. Alcoa Fastening Systems, Bank of America and a program that brought together most of the new and used automobile dealers in the city are just some of supporters for the foundation. One of the biggest impacts the foundation has on local education is found with its Classroom Enhancement Grants. Last year, the foundation awarded 91 recipients more than $50,000 in grants. 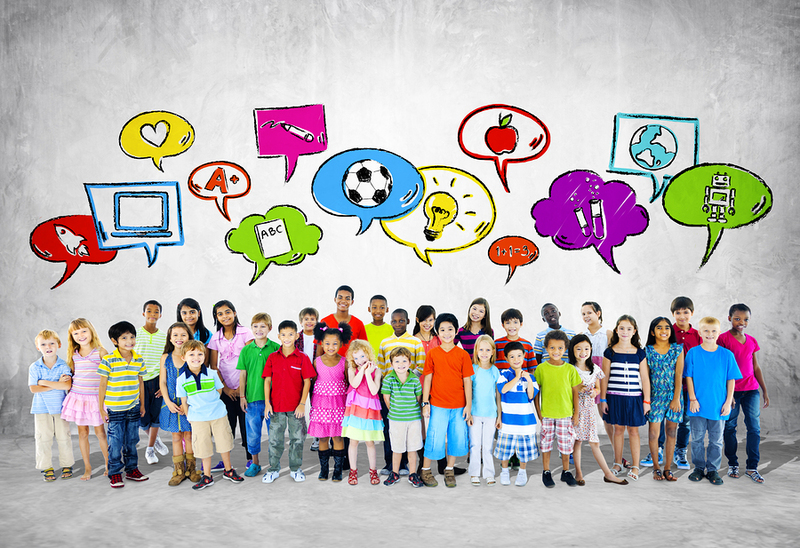 Teachers apply for these grants to fund specific classroom needs. Examples include incubators for hatching ducklings, play mats for a kindergarten classroom, maps, books, science equipment, computer software and music curriculum. This is just a small sampling of the hundreds of classroom needs the foundation has supported over the years for Simi’s teachers. This year’s grant applications are due Oct. 10. The foundation tries to fund as many as possible, and concentrates on those projects/needs that have the greatest impact on the classroom, either by longevity or breadth. Student scholarships are also given each year, and again, information is found on the website. The Simi Valley Unified School District Board of Trustees met in a special session on Tuesday, May 27 to discuss appointments of several additional administrative positions throughout the District. Coming out of closed session, Board President Rob Collins confirmed the following new hires. They will be formally confirmed at the June 3 Regular Board Meeting. Jamie Snodgrass (Teacher on Special Assignment), Erin Taggart (teacher from Crestview Elementary) and Nora Kuntz (Dean of Students at Hillside Middle School) have all been named as elementary principals, but which school that are each assigned to has not yet been decided. Mr. Derrick comes from the San Marino Unified School District where he serves as the principal of San Marino High School.